Updated: Nov. 14, 10:25 a.m.
Democrat Katie Porter has taken the lead over Republican incumbent Mimi Walters in the contest for the 45th Congressonal District seat representing parts of Orange County, based on the latest vote counts. 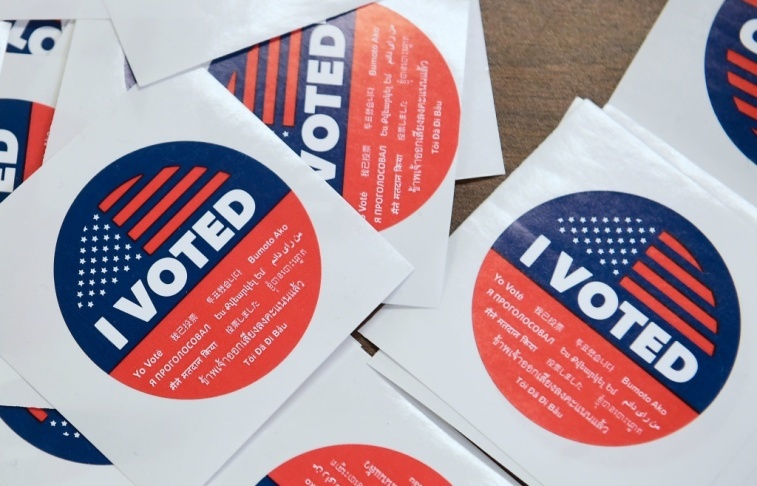 The county still has 261,600 ballots to tally, officials reported Tuesday afternoon. But for now, Porter is ahead with a thin margin — just 261 votes separate her from Walters, who has represented the district since January 2015. It's the latest turn in the two key Southern California races that remain too close to call. Democrats have already made inroads into once-solid Republican country in Orange County and northern Los Angeles County. The question now is how much further the blue wave will travel. Officials are still counting millions of ballots across the state. Some 3,287,982 ballots remain unprocessed statewide, according to the latest report from the Secretary of State's office. 39th Congressional District: Republican Young Kim, the current leader over Democrat Gil Cisneros, has seen her margin shrink to 711 votes. The candidates are seeking an open seat held by Ed Royce, a GOP congressman who is stepping down from office. The district straddles L.A., Orange and San Bernardino counties. 45th Congressional District: Now that Democrat Porter has the lead in this Orange County district covering cities that include Irvine and Tustin, another incumbent is in jeopardy of losing a GOP seat. If Porter's lead holds up, it would be a further sign of the changes underway in this once strong GOP enclave. The 45th was one of a handful in the region targeted by Democrats as part of the party's effort to retake the U.S. House, which they have done. Further north in the Central Valley's 10th Congressional District, Democrat Josh Harder is leading GOP incumbent Jeff Denham by 4,919 votes. The Associated Press has called the race for Harder. In Los Angeles County alone, election officials estimate there are 688,000 ballots left to be counted. Orange County estimates it has 261,600 ballots to tally. Dean Logan, L.A. County registrar, said on Twitter that the turnout for the county now stands at "45.56% and growing." Officials have previously explained that the large numbers of uncounted ballots are due in part to changing election rules and a jump in the numbers who are voting with mail ballots. The last of the eligible vote-by-mail ballots for this election arrived on Friday. Orange County is expected to issue its next update to its vote count Wednesday at about 5 p.m. The next vote count update for L.A. County is set for Friday afternoon. WHAT'S UP IN THE ROHRABACHER VS. ROUDA RACE? On Saturday morning, Democrat Harley Rouda declared victory over incumbent Dana Rohrabacher, and later in the day the Associated Press called the race for Rouda. But Rohrabacher has not conceded. His campaign has said it will wait before commenting. "We have volunteer observers monitoring the count and will not be issuing a statement until that process is complete," campaign spokesman Dale Neugebauer said by email. Rouda is currently ahead by 10,598 votes. The race in this House district, covering coastal Orange County cities like Newport Beach and Costa Mesa, was one of the most-followed in the country. Democrats and Republicans poured millions into it. Rouda's apparent win is a major victory for Democrats. Even though California did not contribute to the the tipping of the House to the Democrats, it will increase the party's numbers in the lower chamber. The contest is also symbolically important: Rohrabacher has been in Congress for 30 years and is a prominent and vocal backer of President Trump. Republicans, however, remain in control of the U.S. Senate, so the split in the legislative branch coupled with the volatile president will mean contentious times for the new Congress. It's possible, but recounts are very rare in California. California does not have automatic recounts, and if a recount is requested it must be done by a voter. The voter, who can be a candidate, must pay for the recount before it takes place. Which votes to review is up to the person who asks for the recount. Because recounts are expensive, they are much less frequent in California than in other states, some of which require automatic recounts for close elections. The California governor can order a recount paid for by the state in statewide contests that are extremely close, but this is also rare. More details are available on the Secretary of State's website. Correction: The vote count in the 39th Congressional District has been updated. A previous version of this story had older numbers.